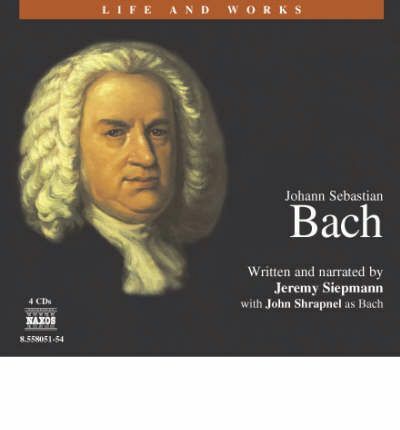 Although now beloved and revered by millions as the greatest composer who ever lived, Johann Sebastian Bach (1685-1750) was best known in his lifetime as an organist, and was eclipsed in fame as a composer by two of his 20 children. For the last 27 years of his life he was a schoolteacher and choir director whose duties extended to meal supervision and dormitory inspection. Yet throughout his career he composed a vast body of music, which is amongst the most joyful, dancing and enrapturing ever written. This portrait-in-sound includes many examples of the music that made him immortal.With compelling narration by Jeremy Siepmann, character portrayals by acclaimed actors, and the interpolation of over 25 substantial musical extracts reflecting the development of one of music's most enduringly awe-inspiring composers, we are transported back three centuries straight into the life of Johann Sebastian Bach. This innovative sense of immediacy is at the heart of this comprehensive audio-biography, depicting the life of a composer whose music is universally admired.